In celebration of Asian Pacific American Heritage Month, join us for a discussion with Asian Pacific American community leaders, San Francisco Board of Education Commissioner, Dr. Emily Murase, and District 7 Supervisor, Norman Yee. Together with Wu Yee's CEO, Monica Walters, they will share their lessons on how to make a lasting impact and improve lives in the community. 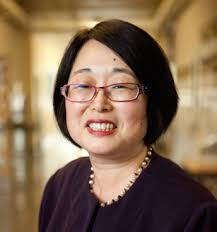 Dr. Emily Murase has served as Director of the San Francisco Department on the Status of Women under three mayors, creating innovative strategies such as the Gender Equity Challenge to expand gender equity in the workplace and developing a Domestic Violence Response Cross-Training Institute that contributed to the elimination of domestic violence homicides in San Francisco between 2010-2014. Her pioneering work has earned recognition from Ms. Magazine, the National Association of Counties, and the United Nations. Previously, Dr. Murase worked as an award-winning account executive for AT&T Japan in Tokyo, served in the first Clinton White House as Director for International Economic Affairs, and represented the International Bureau of the Federal Communications Commission at multilateral meetings of the Asia Pacific Economic Cooperation Forum. In 2010, Dr. Murase became the first Japanese American to ever be elected to the San Francisco Board of Education in its 160+ year history and served as Board President in 2015. She and her husband Neal Taniguchi have two daughters, a college freshman and a high school sophomore, both graduates of the Japanese Bilingual Bicultural Program that Dr. Murase's parents helped start in 1973. San Francisco Supervisor Norman Yee has worked on behalf of San Franciscans for the past 35 years. Representing District 7 since 2012, he continues to build stronger communities and improve the City’s quality of life. Supervisor Yee is a third-generation native San Franciscan, a former Commissioner on the San Francisco Board of Education, and the former Executive Director of Wu Yee Children's Services. Supervisor Yee spearheaded the creation of numerous civic organizations and initiatives, including the San Francisco Early Head Start Program, the Asian Parent Education Network, the San Francisco Child Care Providers Association, and the Chinatown Beacon Center. Prior to being elected to the Board of Supervisors, he served on the boards of the San Francisco Child Care Providers Association and the Chinese Culture Foundation. This event features light refreshments and a networking hour.